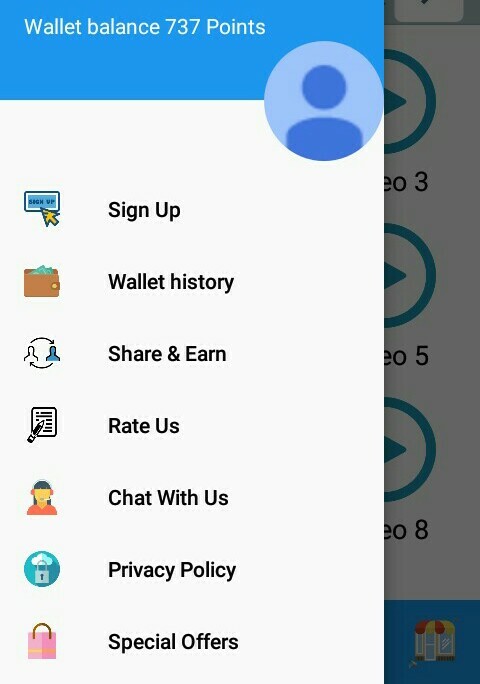 Money Rain Watch and Earn is an Android App which gives money for watching videos, downloading Apps, daily tasks, and referring friends. You can earn upto $ 1 per day. Earning $ 1 per day also better than nothing. You can use this app when you have free time. The best way to earn using Money Rain App is to perform daily tasks and get 100 points everyday. You you want more points then watch videos. The more videos you watch more points you earn. You can once your points reach 1000 points. This is real application that rewards you with real gift coupons and wallet cash. 1) Open the App and sign up via your Google or Facebook. 2) Watch 30 sec videos by clicking on the video offers and earn points for each video. 3) Participate in the competition and get a chance to win bumper prize. 4) Participate in the Jackpot by investing a small amount. The highest bidder will get the jackpot prize daily. 5) Open the app daily to get daily to get daily bonus points. 6) Refer your friends and earn 50 referral points for each friend you refer. 7) When you reach 1000 points you can redeem your points into cash or gift coupons. 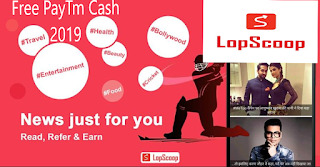 8) Get paid withing 48 hours via Paytm vouchers, Flipkart vouchers, Paypal cash or Amazon vouchers. Global users can redeem their points into Amazon.com gift coupons or Paypal cash. Indian users can redeem their points into Paytm cash, Amazon.in or Flipkart gift coupons. 1) Participate in the daily task to earn daily points. 2) Go to competition page and click to participate in the competition and win bumper prize. 3) Go to jackpot page and enter in to the jackpot by putting in small amount. Every Jackpot have 500 entries. Once 500 entries are filled a winner with highest bid will be declared. So what are you waiting for? Start earning today by just downloading Money rain: Watch & earn cash. The videos are just of 30 secs. For each video you get 1 point. in one day you can watch unlimited videos and earn unlimited points. Refer to your friends & participate in daily contest to get more free gift coupons. Money Rain application is real high paying application that gives you gift cards, Mobile topup, Mobile recharges & cash. Once you redeem your points you will get cash/gift coupon within 48 hours. You can earn free talk time, Mobile data, free mobile recharges with money rain. Money Rain is simple to use app to earn paypal money, free paytm gift cards, free amazon coupons, Mobile recharges, mobile topup . You can use it for entertainment with side income. You can earn money while you travel or while waiting for someone. For college students Money Rain is great way to earn pocket money in free time. Download It Here put referral code 547333 to get bonus points.